As the centenary year of women’s suffrage draws to a close, The Centre for the Study of British Politics and Public Life has been examining how and why we celebrate centenaries. What springs to mind when you hear the words ‘women’s suffrage’? The purple, green and white banners of the Women’s Social and Political Union (WSPU), Emily Wilding Davison losing her life in protest at Epsom Derby, or perhaps the lively rendition of ‘Votes for Women’ given by Mrs Banks in Mary Poppins? All this and more was acknowledged at a fascinating event from The Centre for the Study of British Politics and Public Life at Birkbeck on Tuesday 13 November, as the centenary year of women’s suffrage draws to a close. Chaired by Professor Sarah Childs of Birkbeck’s Department of Politics, Celebrating, Commemorating, Centenaries of Suffrage aimed to address the centenary of women’s suffrage by exploring how and why we celebrate centenaries. The first part of the evening saw Dr Mari Takayanagi, a Senior Archivist at the Parliamentary Archives, deliver her paper Celebrating Suffrage Centenaries. She began by explaining how one of the most important anniversaries in the UK’s democratic history is in many respects problematic. As the UK celebrates the centenary of the Representation of the People Act 1918, it’s worth remembering that the Pitcairn Islands in the Pacific have already commemorated their 175 anniversary of women’s suffrage, while the more local Isle of Man has had equal suffrage since 1881. Suffrage has rarely been awarded, at least at first, without being linked to age, race, marital status, class and even relation to men in the armed forces, and British women would wait another ten years for the Equal Franchise Act of 1928 to grant them the same voting rights as men. Still, this first legislative step towards equal suffrage should be recognised and the impact of this year of national commemoration has been both powerful and wide-ranging. Centenaries act as a catalyst for reflection, prompting greater public awareness and accelerating academic research. During this period, government grants were awarded to projects addressing discrimination and improving female work progression and numerous exhibitions were curated to capitalise on the renewed interest in women’s suffrage. Institutions that boasted some of the biggest collections on this subject, such as the Museum of London and the Manchester People’s Museum, used the opportunity to draw public attention to their permanent exhibits. Dr Takayanagi argued that centenaries hold a unique emotive power, asking whose memory should be drawn on in their commemoration, and whose memory should be honoured? Unsurprisingly, memorable protagonists of the suffrage movement took centre stage in the celebrations. Emily Wilding Davison alone was remembered through documentary, commemorative services, a play, a plaque, a tree, not to mention #Emilymatters and an appearance at the 2012 Olympic opening ceremony. Indeed, the marking of the centenary of suffrage has in many ways been dominated by the militant side of women’s suffrage, the WSPU. 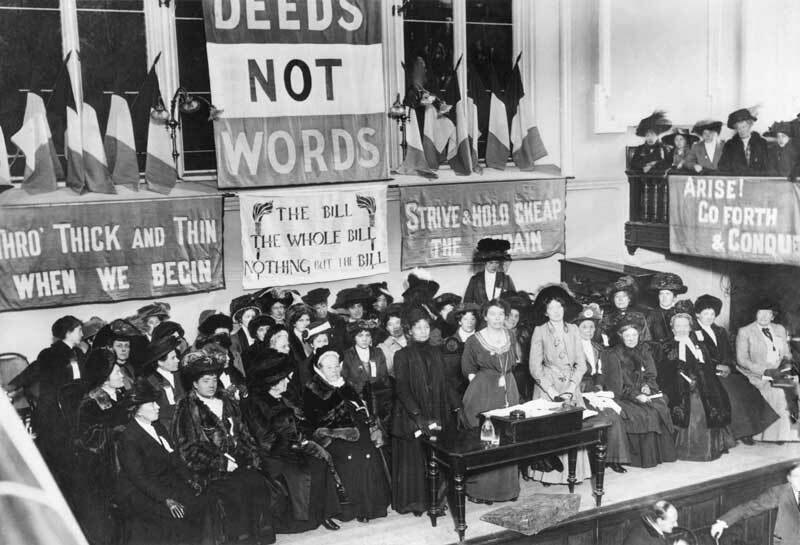 The striking purple, white and green banner now seems synonymous with the entire women’s suffrage movement, leaving the red of the National Union of Women’s Suffrage Societies (NUWSS) and the gold of the Women’s Freedom League to jostle for shelter underneath it. Undoubtedly, said Dr Takayanagi, the WSPU knew a thing or two about marketing, but could the success of their particular brand of militant feminism ring truer with today’s audience and the swelling anger of the #Metoo campaign than their non-violent counterparts? Thirst for feisty feminist heroines can be quenched more easily with an Emmeline Pankhurst than a Millicent Fawcett. Either way, Dr Takayanagi hopes that the huge public interest roused in 2018 will continue as the ten year countdown to the centenary of universal suffrage begins. This insightful talk was followed by a roundtable discussion with Mary Branson, Parliament Artist in Residence 2016, and Dr Red Chidgey, lecturer in Gender and Media at Kings College London. The thread running through a broad and lively discussion and Q&A session seemed to be the desire for the uncovering of an inclusive, collective memory of the fight for universal suffrage. Branson discussed how her discovery of a staggeringly wide range of arrested female protestors through the parliamentary archives led her to create an art installation, New Dawn, that would celebrate the ordinary women of the suffrage movement. Dr Chidgey drew on the example of modern feminist movements, such as Sisters Uncut, who sport the colours of the WSPU, to ask if the ‘beloved national feminist memory’ of women’s suffrage could become a tool of protest, rather than its result. The evening was aptly concluded by Sian Norris, Ben Pimlott Writer in Residence 2018 in the Department of Politics, who read two monologues from the pamphlet And in the end, we won: Three stories of women’s protest, written as part of her residency at Birkbeck. As her words led us from the mind of a silenced woman of pre-1918 Britain to one who feels she has no voice in the era of the Trump administration, we appeared to need the memory of the suffrage movement more than ever before. Eva Menger, freelance copywriter and MA Contemporary Literature & Culture student, reports on Birkbeck’s recent Documenting Refugees event, which combined Kate Stanworth’s photography exhibition Where We Are Now with a screening of Orban Wallace’s documentary Another News Story. 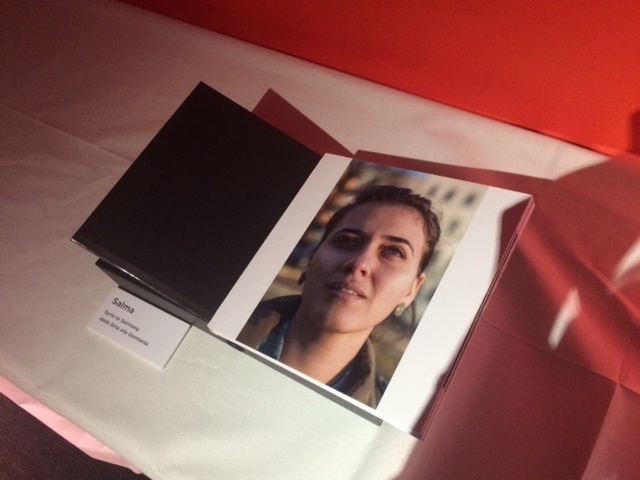 Kate Stanworth’s photo of Salma, who travelled from Syria to Germany. Wednesday 20 June marked World Refugee Day, an event through which the UN seeks to show governments the importance of collaboration as a means to accommodate forced migrants all over the world. With the global number of refugees being at an all-time high, this year stood for commemorating their strength, courage and perseverance. In light of this message, Birkbeck lecturer Agnes Woolley hosted ‘Documenting Refugees’, a thoughtful evening discussing the way in which refugees are represented both in the arts and media. The event combined Kate Stanworth’s photography exhibition Where We Are Now with a screening of Orban Wallace’s documentary Another News Story, both of which reveal an intimate portrayal of refugees and their stories. For Stanworth, the focus lies on personal narratives and the psychological survival techniques used by refugees during the most difficult times. In addition, her portraits reveal how reaching the final destination (typically Germany or the UK) is still very much the beginning of the long journey forced immigrants have got ahead of them. 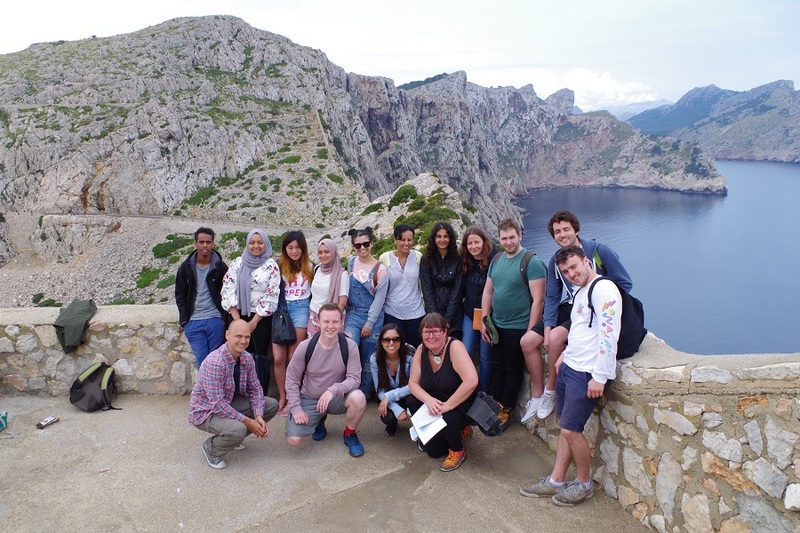 A similar idea is conveyed in Another News Story, where Wallace and his team follow both the refugees and journalists portraying them on their challenging journey across Europe. While the documentary offers an excellent balance of mixed narratives, the character that stands out most is Syrian mother Mahasen Nassif. 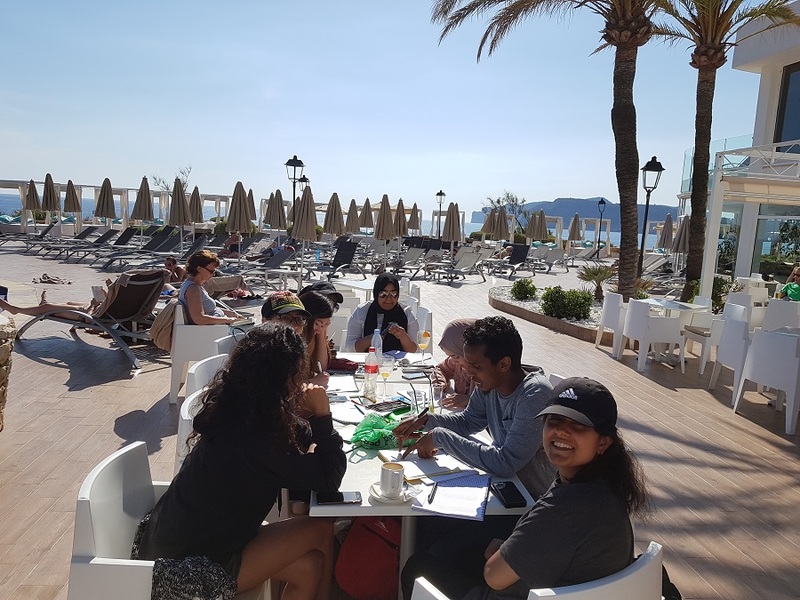 Not only is her excellent English, positivity and strength while travelling alone completely overwhelming; her story also shows how getting to Germany is not where the refugee experience ends. When, in the panel discussion afterwards, director Wallace is asked about her he admits that she is finding it challenging to be living a slow-moving life in a remote town in Germany, endlessly waiting for documentation. A side of the story we hear a lot less often. What is also special about the documentary is that it was shot without any kind of plan, with the main characters being simply those they kept running into. Finding a repertoire of narratives was therefore an entirely natural process, Wallace explains. And ultimately this has led to a uniquely nuanced documentation of a phenomenon that is predominantly being told through the biased and sensation seeking media. The documentary title already hints at this, but insights given by Bruno, a Belgian journalist and recurring character in the film, make it all the more evident: the news is wherever the media is – be that refugee camps at the Hungarian border or the Venice film festival. Both during the screening and discussion afterwards, the main issue with documenting refugees seems to be the fact that it is ongoing. As Ahmad al-Rahsid, a forced migration researcher at SOAS who fled from Aleppo in late 2012 comments, the Syrian conflict is considered by critics to be one of the most documented conflicts of humanitarian history, yet it took the picture of one little boy to finally cause a shift in political and public responses. People don’t typically respond to just another news story, and with crises without a beginning or end that is a very big problem. The refugee crisis didn’t start nor end in 2015; it is a long-term humanitarian issue that needs as much attention now as it did three years ago. Events like this are needed to help us realise that.